Mayor Bowser welcomed Baby Bowser into her home and heart over the weekend. WASHINGTON -- She's the hometown girl who became mayor of her favorite city. Muriel Bowser leads the nation's capital and is running to stay in that role for a second term. But she's about to realize her biggest dream: Being a mom. 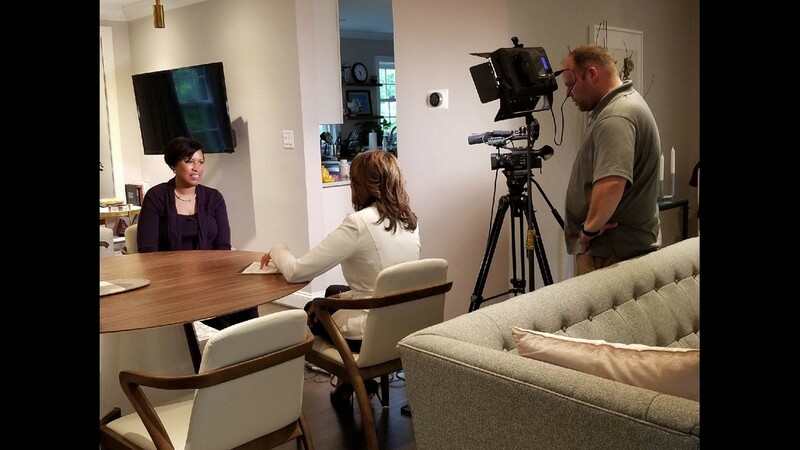 Mayor Bowser invited WUSA9 Anchor Lesli Foster into her home to share the news that she has adopted a baby. It's a girl! The single mom welcomed newborn Miranda Elizabeth Bowser, who shares the same initials as Mayor Bowser. Mayor Bowser is celebrating the success of her evolving city and is out on the campaign trail pushing her vision to transform Washington, D.C. But for the longest time, something was missing. "People tell me all the time when they see me with kids, 'you could have a baby. You should have a baby,' and I said, 'okay, maybe I should,'" says Bowser. Late last year, after deep thought, the mayor began to work more actively toward that goal. "I decided to start the adoption journey, just knowing that it was a great time in my life and I had so much to share with a baby," she said. 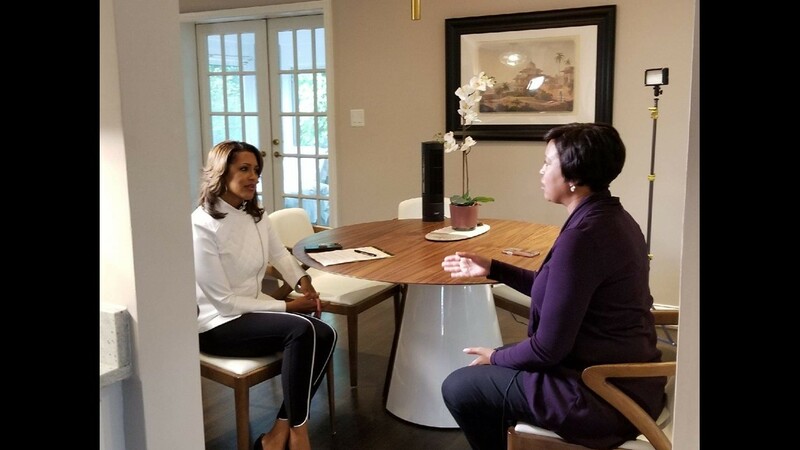 Shortly before our interview, Mayor Bowser learned that Baby Bowser was about to enter her life sooner than she anticipated. "When you sit in the seat that I'm in, you're used to being able to make things happen and babies have a way of letting you know that they're in control," said Bowser. "I'm really just looking forward to being able to pour a lot of love and attention and affection on a baby and help the baby grow into a wonderful Washingtonian." WUSA9's Lesli Foster and DC Mayor Muriel Bowser after baby announcement. When she's not leading the city, or campaigning to stay in office, Bowser is taking a class in little humans. With a stack of books and advice from family and friends, she's approaching her new role with all the usual excitement and angst of a new mom. "It really is a great gift to be able to care for and have expectations for a child and just love a child to pieces," she said. The mayor knows that there are many children both in the District of Columbia and beyond who are looking for loving forever homes. She welcomes the opportunity to open her home to a new baby. "What I've learned from Washingtonians all over our city, is that people start their families in different ways," said Bowser. "And, I've been encouraged by many people that not only do I pour my heart and soul into being mayor and to governing a great city, but also to think about a family." She said she's ready for the challenges and the joy to come. "It's very, very real and I feel grateful that I have a wonderful family, a wonderful support team to support me in this adoption journey," she said. "I think so. It certainly gives me another point of view. I have, we have been very focused on families in this administration making sure that we do everything for schools and child care and great play spaces and safe neighborhoods." Mayor Bowser welcomed Baby Bowser into her home and heart over the weekend. She plans to scale back her public schedule for a bit. The mayor is very private, but said her family and close friends will be there to help her as she adjusts to motherhood. "We're excited that there's a baby boom in Washington and people are not only having babies but raising families here in D.C."